Family Tour in Nepal is designed to discover the mysterious culture and lifestyle of Nepal that is appropriate to travel with a circle of relatives. As we know, Nepal is a magnificent, diverse country regarded as home to some of the most spectacular mountain scenery and friendly people. Nepal is synonymous with its amazing Himalaya ranges, ever smiling hospitable and friendly people, rich flora and fauna, precise culture and subculture and hence this tour can be one of the most and delightful experience for you if you are planning your trip to Nepal with families. Due to the diversity in Nepal’s nature and exotic culture, the country is known to be ideal for tour and travel activities with family and friends. You will get the chance to visit the Heritage sites of Kathmandu valley including Buddhist Stupas, Hindu Temples, and Old Durbar Squares or Royal Palaces. 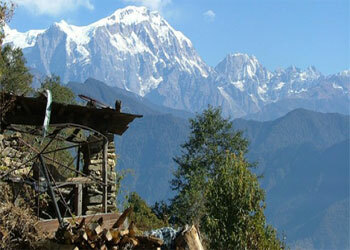 Nepal family tour is basically graded as easy, as it is designed for the family which can include people of any age. No any difficult climbing or ascents to high altitude are included in this Family tour. Although this tour resembles to cultural tour, this also includes Phewa Lake, springs with the stunning great Himalayas in Land of Dream city Pokhara. Pokhara is taken as the second most popular destination in Nepal, offering lakeside leisure with stupendous views of the majestic Himalayas. An exciting sightseeing tour will let you experience some of its secrets.You experience the beautiful lakes, springs, brightly colored Jungle safari for wildlife attractions. 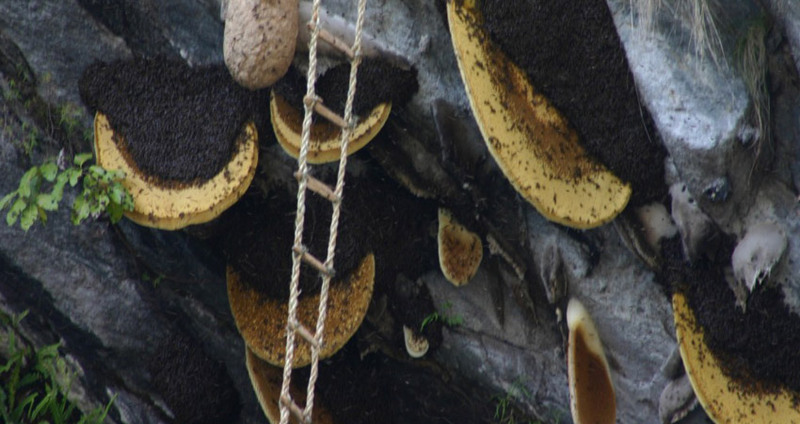 During this tour, you will pass through beautiful Rhododendron forests and fascinating traditional village which opens up a great opportunity to witness the culture and tradition of the Nepalese people who live in this area. The walk starts at Birethanti and ends at Phedi. From the Ghandruk, the beautiful village of Gurung and Magar’s, you will get the chance to see breathtaking views of Annapurna South, Gangapurna, Annapurna III, Machhapuchhare, and Hiunchuli. The trail continues to a natural hot spring at Jhinu Danda. This tour makes you enjoy an exciting river rafting adventure on the Trisuli River in a high rapid zone where the surrounding region is photogenic. On your way to the Chitwan National Park, famous for their diverse natural environment and a wide variety of animals and birds. You will have an action-packed jungle adventure; including an elephant back safari and bird-watching tour. A day-long jungle safari on an elephant’s back concludes superbly with a cultural program performed by local Tharu villages, followed by a hearty dinner. This can give the family a fun and interactive insight into life in Chitwan. Back again to Kathmandu, very morning mountain flight provides outstanding views of Mt Everest towering high above the other high Himalayas. There is no doubt that family trekking in Nepal provides a wonderful opportunity for engaging with local people and family. Kathmandu, Pokhara, Ghandruk, Jhinu, Chitwan. The very next morning, after breakfast you will leave for a full day sightseeing tour around Kathmandu valley. You can visit sacred Pashupatinath Temple and Swyambhunath ( Monkey temple), very ancient and essentially enlisted in UNESCO World Heritage sites. The biggest Buddhist Stupa at Boudhnath and the prehistoric architecture of Kathmandu Durbar Square reflecting the ancient Nepalese culture are highlighted on our guided tour. 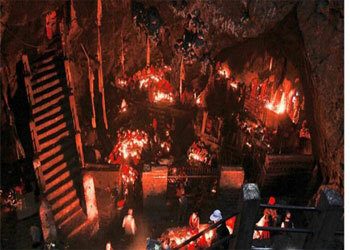 The sightseeing tour continues to Patan City, famous for its fine arts and historical architecture. On return to your hotel you will have time to explore the local area, have dinner and perhaps take a leisurely stroll through the popular streets. After having your breakfast, we will drive you to the Domestic Airport to take a 25 minutes flight to Pokhara. Or if you wish you can take a Tourist bus to Pokhara about 6-7 hour drive exploring & enjoying with scenic beauty all the way around. During the short flight to Pokhara you will have majestic views of the glorious Manaslu peaks and the snow-capped Annapurna mountain range, as well as the Langtang Himalayan range.transfer to hotel from your bus station or from the airport if you take flight, late afternoon you will be free, you can have rest or can looking around the lake side street, can boating in the Phewa lake also. 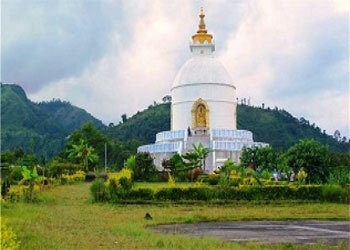 A car drive for about 1 and half hour through large village Lumle brings you to Nayapul. The trek starts dropping at first on a staircase and then traversing high above the river on a wide stone-paved trail to a large and prosperous town Birethanti (1065m). The trail follows the main street winding through the bamboo forests and past waterfalls with plunge pools inviting you for a refreshing swim. Beyond a pasture used by pony caravans, the trail reaches a small village Sudami, where you can have your lunch. We walk along the terraced fields beneath the splendid panorama of awe-inspiring glaciated Himalayan mountain ranges. After passing a flatland, forest, cultivated lands and a suspension bridge over Khumnu Khola, we arrive at the beautiful village of Ghandruk after 3-4 hrs walking. An ideal vantage point in this pristine village offers breathtaking views of Annapurna, Gangapurna, Machhapuchhre, and Hiuchhuli. There will be time to explore, rest, and enjoy some lunch, before settling into your accommodation for the night. Hiking through a flat level for an hour passing through terraces, streams and the green sceneries, we will work down to a bridge over Kyuri Khola at 2010m. The trail starts ascending to Kumrong Danda. Very almighty rhododendron forests and fine terraces went passing through our trail to the Chhomrong village. Above the village is the mighty peak of Annapurna South, with the Mt. Fishtail facing it across the valley. Chhomrong is a beautiful village with lots of Lodges providing good faciities. From here you can also trek down about 1 hour to Jhinu. A Natural hot spring at Jhinu is an inviting place to spend time splashing in the small pool beside the natural hot spring. 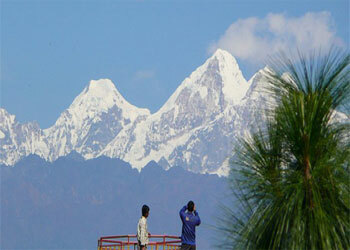 Day 08: - Pokhara drive to Chitwan National park for Jungle activities. After breakfast drive to Chitwan National about 5 hour drive, on arrival you will be sever hot lunch after we will have short meeting to highlights on the program and the facilities to be offered. At evening you will offered an exciting elephant ride (Jungle Safari) and explore the jungle with the views of wildlife and vegetation. This provides chance to have a glance of the one-horned rhinoceros, several types of deer, monkeys, wild boar, bison, sloth bear, leopard and the Royal Bengal tiger too. Day 09: - Exploration of Chitwan National Park. After having morning tea or coffee, you’ll have a bare foot nature walk to cherish with the environment. Get introduce to the features as vegetation, Sal forest, open grassland and thick jungle. You will be helped by our guides to know about species of birds, plants and other wildlife. Learn more about these fascinating animals during a visit to our elephant stable. (For the brave ones there is even a crash course in riding and leading the elephants). After lunch, traditional dug-out canoe is waiting for you on a silent trip down the Rapti River to enjoy and view aquatic birds and the animals of the river banks. At the evening, farmers of the nearby villages will show some of their traditional skills and dances. Next day early at morning, you can have bird watching tour where you will be accompanied by expert naturalists who will advise on safety procedures and we request you to respect their judgment at all times. after breakfast we will drive back to Kathmandu, there is an options to fly also plz let us know in advance booking the trip if you like to take flight instead of drive.